The SingleDoc.tpl template is able to produce not only RTF. 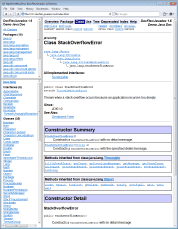 It can generate a single-file HTML documentation (as well as in any other output format currently supported by FlexDoc). 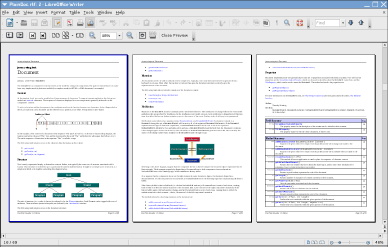 The following is a sample RTF documentation generated with the SingleDoc.tpl template. The Java sources were taken from the Java SE 8 JDK Source Code. As you can see, the result looks nearly identical to what would be expected from best HTML browsers. Yet, this is MS Word displaying an RTF, which understands no HTML markup! 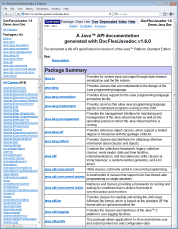 The images were picked automatically by the generator from their original locations (in doc-files subdirectories) within the provided Java sources. Please notice also a table in the bottom-right screenshot. FlexDoc core is able to render in RTF the tables of any complexity and arbitrary layout defined with HTML tags! 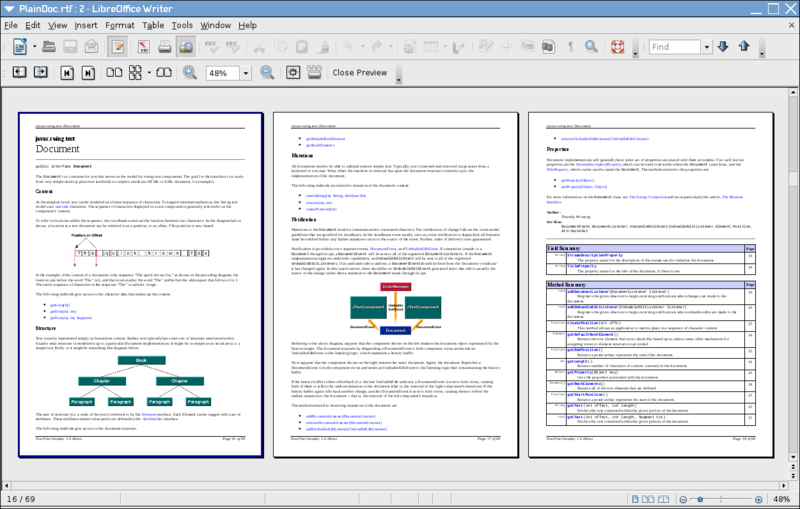 It is open with the Template Designer running under Linux Mint.